Something I Made: Black or White? 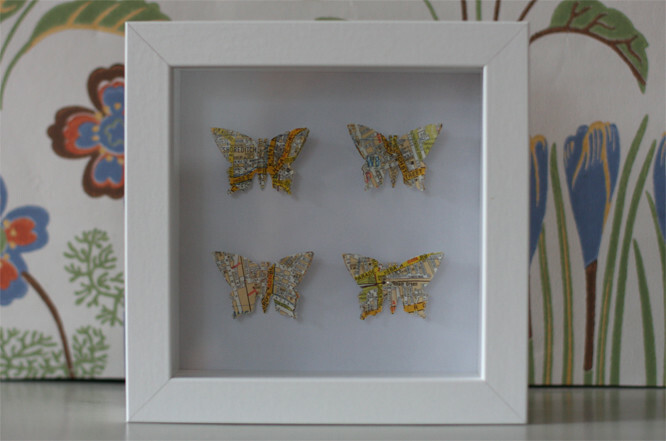 I made two butterfly pictures last night, one in black and one in white. A friend wants one to give as a wedding gift. I'm sure she'll choose the white one, but maybe not. 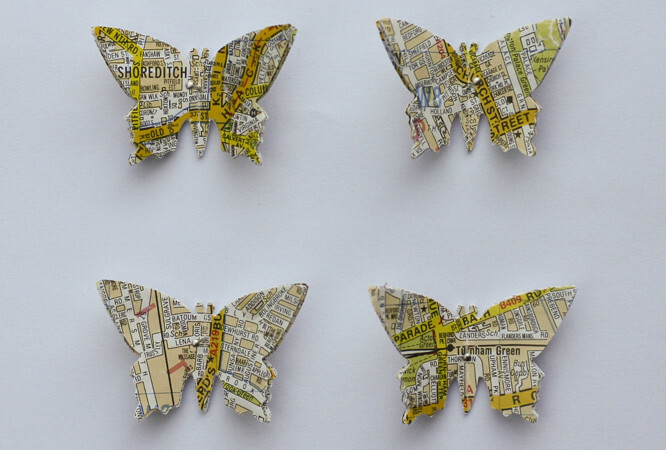 I also finally finished these pinned butterflies made from an old A-Z which was falling apart. Each one shows one of the streets I've lived on in London. 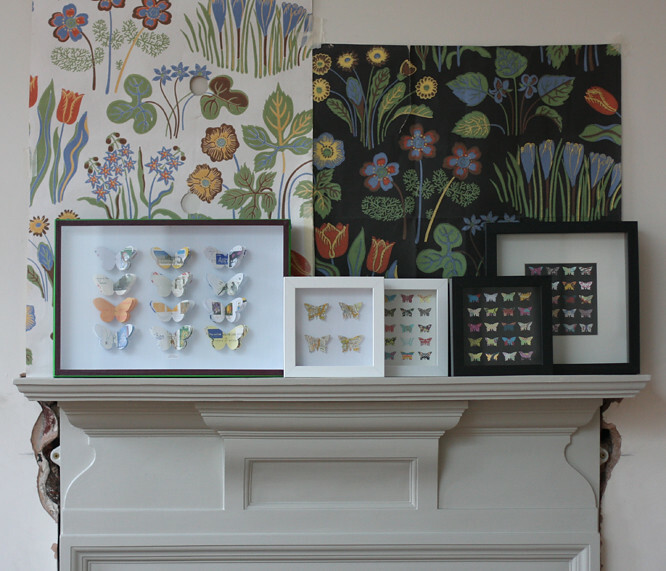 ... and here are a selection of butterflies in frames all ready for their photo-shoot against the backdrop of some wallpaper samples from Svenskt Tenn, (we are putting the dark paper in our loo... one day). I should also point out the newly restored fireplace, well done Hugh. Just need to sort out the plaster (and the insert/tiles and the hearth... the never ending list). 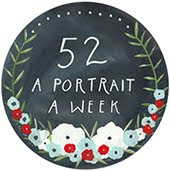 The largest frame (above) is by Tracey Bush, my inspiration and my 30th birthday present which I LOVE LOVE LOVE.